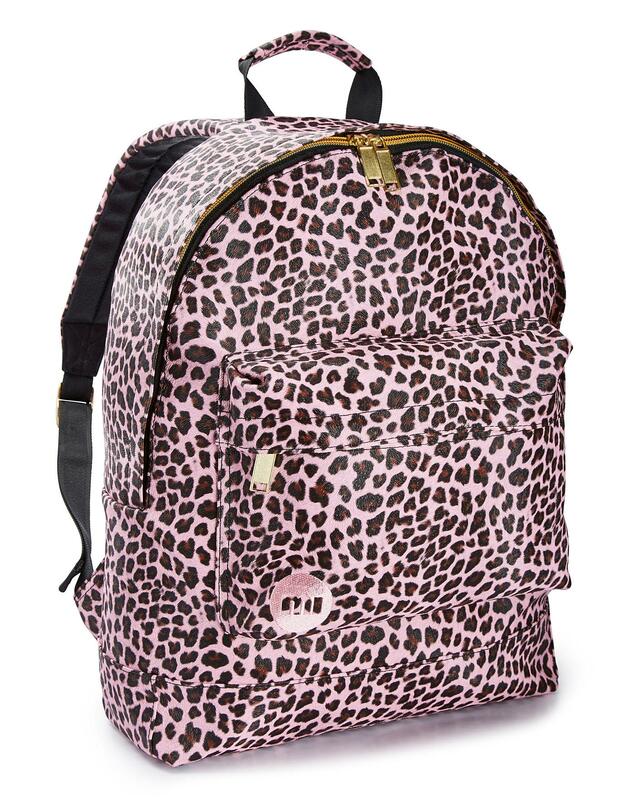 The Mi-Pac Cheetah Backpack in Pink is the perfect travel fashion accessory. 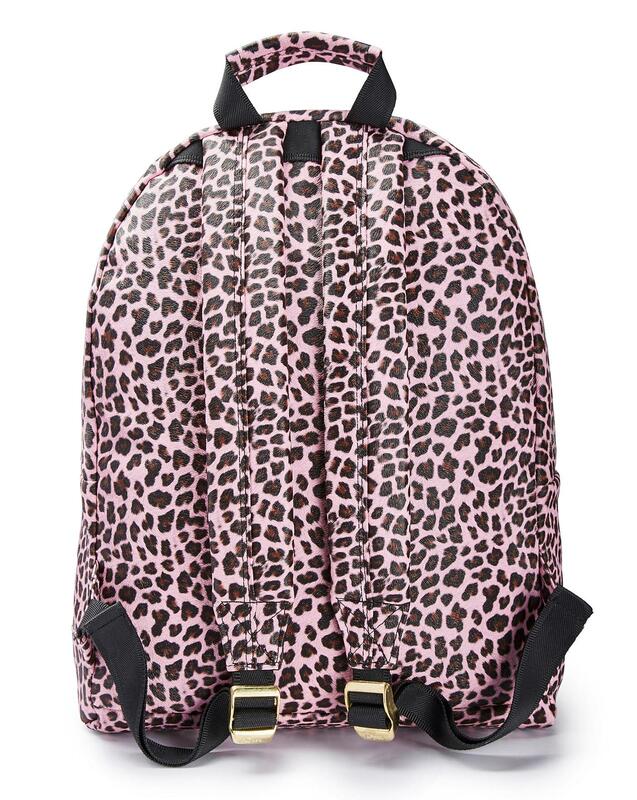 A tough and durable faux-leather backpack from our premium Gold range. 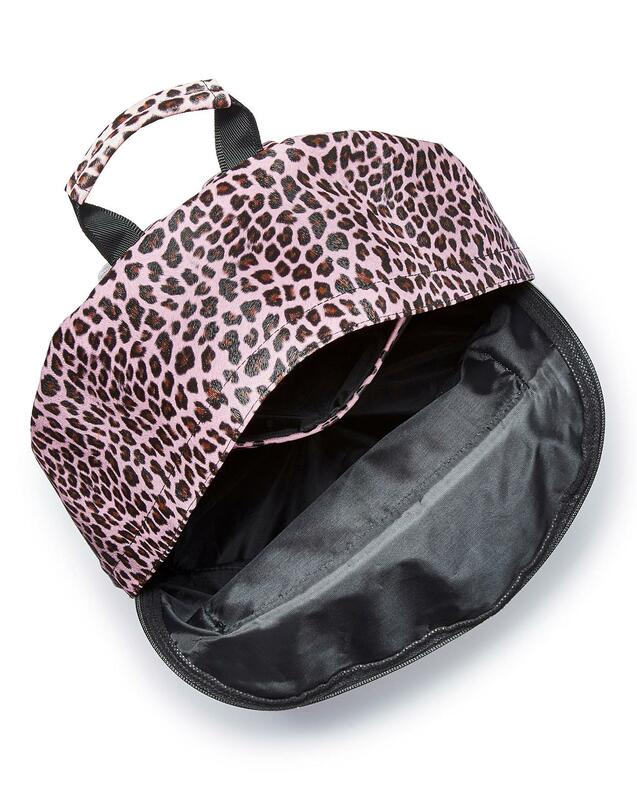 It features adjustable padded shoulder straps to the back and a top carry handle for versatile wear. 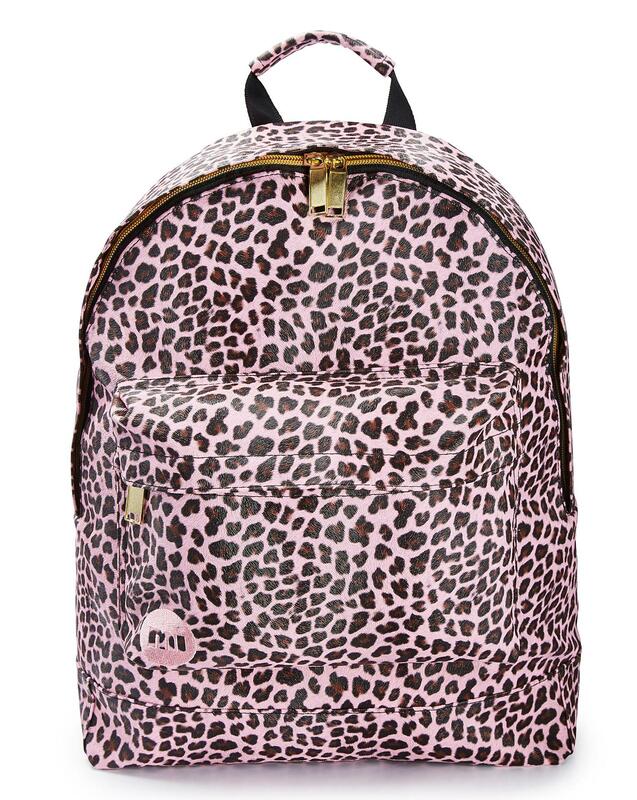 It has a zipped front pocket and a large main compartment with an internal padded laptop sleeve. Fashion forward and practical!